I just started a two month North American Tour. Our record is almost done being mixed and we're looking into different options for a release. How did you originally get hooked up with TWLOHA? 6 years ago I was working at Starbucks and struck up a conversation with a costumer, who, unbeknownst to me, was friends with Jamie Tworkowski. I wrote down a link to my music and gave it to him. He later emailed me saying he liked it and had passed it on to "a friend who runs a non-profit". TWLOHA put a song of mine up on their Myspace page and Jamie emailed me inviting me out to play a couple songs before he spoke at a college in Southern California. In the years since, I've done around 15 of these college events with Jamie, all over the country. In February, I opened up the first leg of TWLOHA's Heavy & Light Tour. 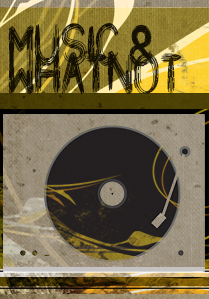 Are you currently working on any new projects/records? If so, any idea when listeners can expect to hear them/it? Like I mentioned earlier, our record is almost finished. We're hoping to release it this fall, but I can't say for sure when it will be out. I also recently produced a record for my siblings band, Le Wrens. That will be out May 3rd. Are you seeing a change in new material that you are finishing up right now, either musically or content-wise? Throughout the process of writing this upcoming record, I was doing what I would call "lifestyle experimentation". I was in a new and different place in my life, experiencing life in a way I never had before. I made some mistakes in that time, but learned some valuable lessons along the way. Most of the new songs come from that place. They are very autobiographical. I've always written from a very personal place, but a lot of these songs feel more vulnerable because they come from a place of weakness and uncertainty. In the past, the questioning of faith was a recurring theme in your songs. Is this theme surfacing in your new material? Not so much on this record. This one has more to do with questioning myself than it does with questioning my faith. Have you had any listeners approach you about your songs that discuss faith? What kind of feedback do you typically receive? Yes, all the time. It comes up at almost every show. And I love that. I love that a song I wrote in an hour in an old girlfriend's basement when I was 18 could have such a strong and meaningful effect on people. The feedback is often from people who grew up in the church and have the same questions. How does a song normally come together for you? Do you have a set process, or does it differ? 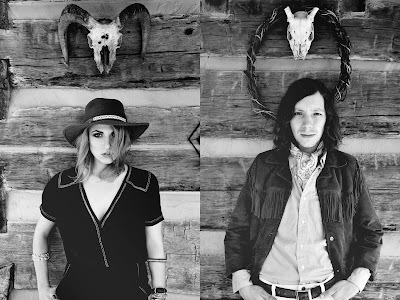 Over the last several days, I have been listening to both of your records (Family and Saints and Liars) and I have been blown away. In a number of your songs, you seem to write from the perspective of someone who has lived a long, hard life. Have you always had an "old soul?" What initially inspired you to create songs with this specific type of imagery? I definitely haven't lived a long, hard life. Compared to some, my life would be considered relatively easy. The themes of hardship and struggle are basic human properties. Pain and suffering have existed since the beginning and will exist until the end, in some form. It just seems appropriate to except and address it. What would you like for listeners of your music to take away from your records? Comfort. Solace. Questions. The knowledge that they are not alone. Random question, have you had the opportunity to see this video? Have you gained any new fans from listeners who looked up this song? Yes, I have. It's very endearing. And yes, I am happy to say that I think I've gained some new fans, courtesy of some drunken singing. I have had the great pleasure of seeing you and your sister perform several times, and I am curious: Who do you and your sister look up to in terms of live performance and stage presence? Neil Young, Tom Waits, Josh Tillman, David Wilcox. All of them have a way of drawing in the listener while appearing completely natural and comfortable. The greatest act is when its not an act. McMorran: Well, I had never sung by myself for the most part, so Mitch and Josh were both individually surprised to realize that I was writing these songs for me. They both reached out about making a band around them, which means there was a bit of a love triangle going. BUT it really got started when we all three got together to start building the songs in the studio. Erik came along about a year later when we wanted to change up our liveshow, but then he ended up helping us be nice to each other again. He's a magician. You guys have a full-length album coming out very soon, how did you arrive on the track list for the album? Some of the songs date back a number of years (i.e. "Say The Words" and "Ring The Bells"). M: We look at Calling Birds as our first record. We spent time making the first half and then decided to release it as an EP (Ring The Bells EP) just to see what would happen. We used the money we made from it to keep building the rest of it. Once we were done, we looked around for the best way to show it to as many people as possible. How does the writing process normally pan out for you guys? Do you have a specific writing process? M: For this record it was largely me bringing in songs I'd written at my coffee table instead of sleeping. A lot of times Josh showed me an idea and let me sit with it for a long time until I brought it back to him a little more developed. The bottom line is we're just trying to find that thing we connect with. For me it's the lyrics and the melody, so I get specific about that. But there's a heartbeat to this stuff, and it doesn't have to be found until it wants to be found. We're at the mercy of it to some degree. I am specifically interested in "Turning On My Own" and "'Till I Return," and what originally motivated these two songs? M: Thank you! "Turning On My Own" is a double meaning. I was trying to admit how wreckless I felt at the time. I was spinning off into whatever I wanted the band to be, and at the same time trying to keep the life I'd made in tact; trying not to burn it down. That's the war of the heart. "Till I Return" is about men going to war, but like way way back before electricity. Men used to leave behind their families to go walk around the earth, fight wars they had nothing to do with, see things they'd never forget, lose people they'd never get back, and pray they'd see their sons and daughters before they grew up. I started thinking about that for some reason and tried to write a song I'd sing if I were there. Was there a specific song on the record that blew you away, with how much it developed from the time it was written to the final recorded product? M: "Brooklyn" came along and kept turning into something more. I showed Josh and Mitch the first draft of it, and they told me it needed a third line in the chorus. By the time I wrote that "stubborn fool" line I was listening to Josh come up with the slide part. That was a turning point for us too. We had had to start over on the second half of the record, because we listened to what we'd made first and didn't like it. So we scratched the songs and started with new ones. "Brooklyn" was the first one we worked on next and I think it helped us see where we were headed. What would you like for listeners to take away from Calling Birds after listening to it? M: I hope people connect with what the songs are about, and how they were intended to say something honest during all this time it took to make them. Where does the title of the album Calling Birds come from? M: Birds are the first thing you hear reminding you the sun's coming up. I hope this album is something that helps get people through the night. Steven, I have seen you perform by yourself a couple of times now, and you have always delivered a passionate and entertaining performance. I am curious who you look up to in terms of stage presence and live performance? M: I look up to Dylan, Tom Waits, Thom Yorke, Cash, Willie Nelson, Fiona Apple, Ryan Adams, Springsteen, and anyone else who gives me the impression they don't care whether I like it or not. They don't "perform." It looks more like a glimpse at who they are, and if so, my opinion doesn't matter. 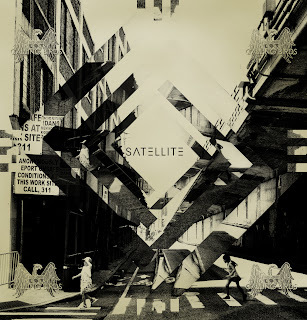 I'd never led a band until Satellite. The biggest difference with this is that I'm not trying to execute something flawlessly on stage, I'm trying to get enough out so I don't burn down the rest of me. Steven, do you happen to recall the moment or period when you realized that you had a unique and powerful voice? M: I knew how much I loved singing from age 5. I knew it mattered to someone the moment it felt like the air got sucked out of the room at Molly Malone's after singing like that for the first time. I don't really know how to answer the question though because it's kind of loaded with the idea that I think it's powerful. I'm along for the ride way more than I'm convinced it's powerful. How did you guys get hooked up with Sony Music's Descendant Records? What attracted you guys to them? M: JAY. He's been a friend for years and I knew he'd been keeping up with the record's progress. Eventually he reached out and told me about Descendant and then made an offer. It was as natural a step as breathing air and looked exactly like what we'd set out to do: finish the record and put in the hands of someone we trusted to put it out into the world. How did you guys get hooked up with TWLOHA, and how was the Heavy and Light Tour? M: Heavy and Light was great! TWLOHA and Jamie have been friends of ours for a long time too. He and I knew each other before the EP released, but he was pretty surprised by how much he felt towards it. One day he emailed me a blog he'd written about Ring The Bells, and I couldn't believe how genuinely kind it was. We've been doing shows together ever since. Being a part of the conversation they shed light on is a pretty humbling thing. Any advice for new artists/bands starting out? M: Be you. There's only one of you. Even if you don't like you right now. You might be surprised at how many people get it. What do you guys have coming up? Touring? M: Well I'm playing three shows through NC, SC, and AL coming up first. Then meeting the band at SXSW. Then we all head up to the Northeast (Boston, Philly, NYC, and more) for the Lisa Loeb dates. That's just March. M: The song "Talk Show Host." Following an acoustic performance in Atlanta, Steven McMorran, frontman of the pop\rock band Satellite, performed a number of powerful songs for a handful of fans in the parking garage of the Vinyl. In this video, McMorran plays a song called "Brooklyn," off Satellite's record Calling Birds. How did this collaboration between you and Matt Malpass begin? Was there a specific moment when you realized that you were on to something? Well, we had been talking about it for a while. When I finally made it out to Atlanta to do a five song EP, we decided to stretch it out to make a full-length album. The chemistry was there and we felt like the sound hadn't reached its full potential, so our solution was to just keep writing songs. I am happy about how it all turned out. Were there any specific influences that fueled the sound that can be heard on Material Me? Matt was pretty into One Republic and Mike Posner at the time. I don't really see those as influences for me, but I think it rubbed off. I never really listened to much pop music before starting to make this record, and I think that was a good thing. It kept the music interesting and unique in a way. I come from the school of Cursive, Brand New, Radiohead, Circa Survive, Portugal The Man, etc. To take those elements and merge it with a more indie-pop feel was very exciting for me. How did the writing process pan out for the record? Did you have skeletons of songs that you brought to Matt, or vice versa? For the most part we worked in separate rooms. I had ideas for progressions, riffs, and melodies and would lay them down and program a song skeleton. Then he would take those ideas to the next level and polish them up a bit. Then we would get together to record the instruments and vocals. With a couple of songs it worked the other way around. Did you find the writing process to be different in comparison to previous projects that you have been involved in? Absolutely. There was no band, no "jamming", and that was very refreshing.There were no egos in the supporting instruments. The album is purely songs that revolve around vocals as the centerpiece. Have you had the opportunity to perform any of these songs live? If so, do you find yourself performing in a different light? I want to perform the songs full-band. There are a lot of guitars and drums on the record, and I want those all to be performed live. Having a great live show or not is going to determine the future of this project. "Up in the Air" is a wonderful song. How did it come together originally? Any specific story behind it? Thank you! The original inspiration for the song was actually the Inception soundtrack. It had a very inspirational and important sound to it. Lyrically, I also wanted it to be inspiring and uplifting. I had my close friends in mind when writing it. The video for "Up In the Air" has a great deal of beautiful imagery. How did the concept come together? I can't take any credit for that music video. The creativity and imagery in the video is all to due Shawn Butcher, who directed the video, and everyone else that worked on the video. I was pleasantly surprised by the whole experience and the professionalism of everyone involved. At this point I also want to thank Trevor Monks at Vital Records who has been instrumental in every aspect of the project so far. 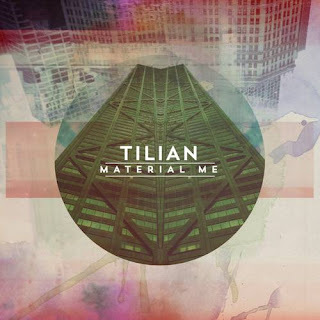 I recently viewed an acoustic video for "Favor (the Gods)," which will be part of Material Me. I was blown away with how well the song translates to the acoustic version. Are there any other songs on the record that you are able to convert to acoustic versions? Thank you again. I have already done acoustic versions of two more songs that will be released with the album as part of the pre-order package through indiegogo.com. The videos will also be released in the coming weeks. 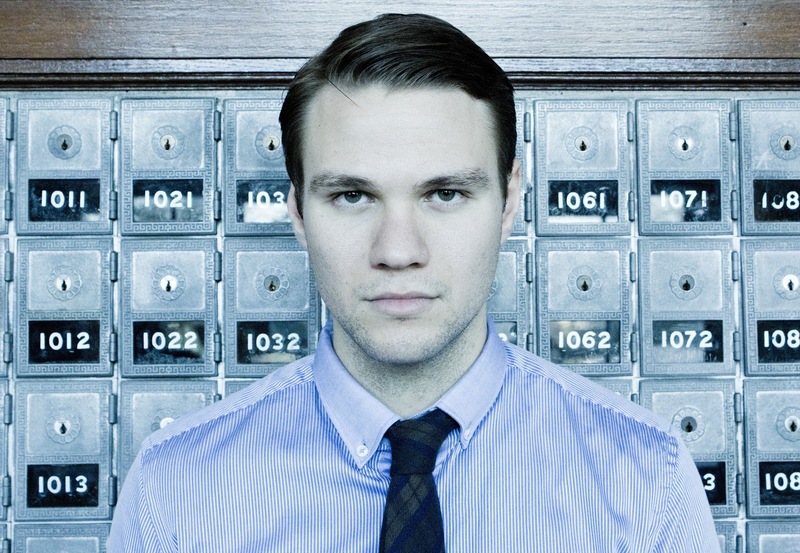 Any word on the new Dance Gavin Dance album? We are headed to the studio March 11 and we will be recording through April. We have a lot of material to work with--the most DGD has ever had going into the studio. I am pumped for it to take shape as final product. Perfect day, driving in the car with the windows down, what are you listening to? Recently I have been listening to Walk The Moon. Can't get enough. Once again, a great deal of good has come from poking around NoiseTrade.com. 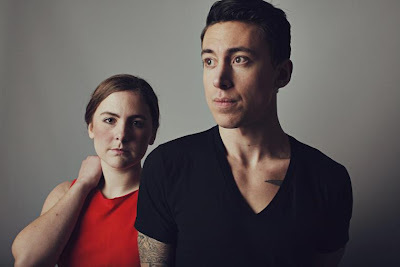 Back in October, I stumbled upon a beautiful song titled "Cold October,” by the newly formed duo, Escondido. Aside from the fact that the song paired perfectly with the month, Escondido's EP helped usher in a new season of songs/artists for me that have kept my heart warm this winter. 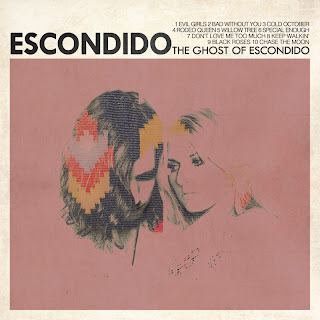 Needless to say, I have been anticipating Escondido's full-length debut and last week Jessica Maros and Tyler James didn't disappoint. 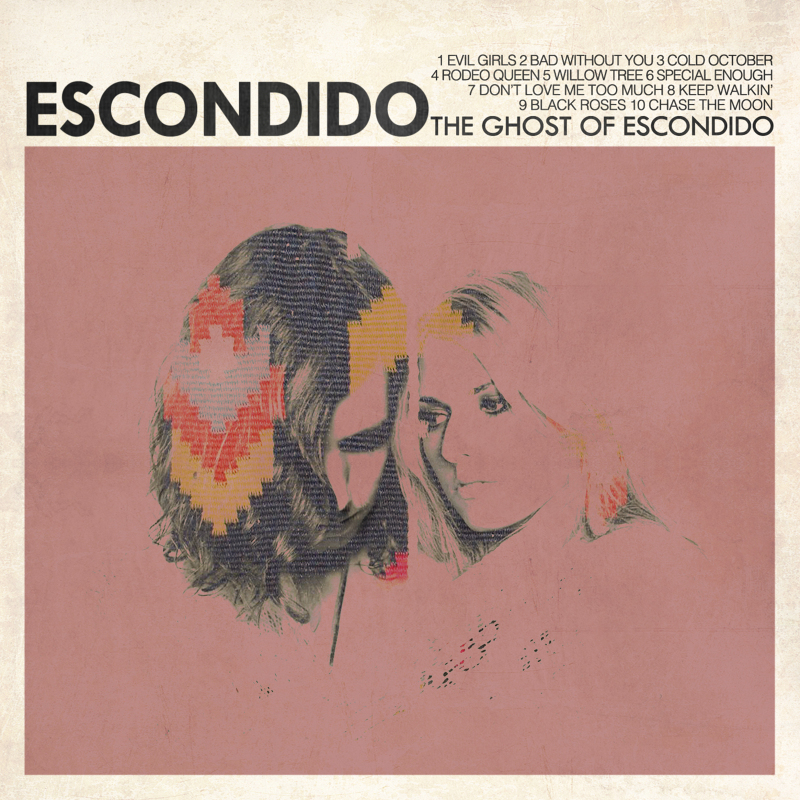 The Ghost of Escondido pairs sweeping melodies, floating riffs and uniquely beautiful harmonies, delivering a near perfect cinematic experience to listeners. Naturally I needed to know more, and Maros and James were more than willing to share how passionate they are about this project. Enjoy this refreshing interview and check them out at http://www.thebandescondido.com. I would love to hear how you guys originally came together, both being solo artists, and decided to pursue a project together. James: I was producing a recording for our mutual friend Leanne Ford. She invited Jess over for some group vocals. I didn't really know Jess but she was sitting there strumming a song to herself quietly while everyone else was out of the room. I pushed record and added a little groove and fuzz bass and we both decided then we should make a record. I always wanted to make a spaghetti western inspired record and Jess' vibe was perfect for it. Maros: Yeah. It was a funny night. I pretty much felt sorry for myself and decided to sing a song. Luckily Tyler captured the moment and it turned into my dream track. He just tapped into this sound that I've always dreamed to create but could never find anyone that got it. I was never happy with my solo stuff and that’s why I never released anything, so I was pretty excited that day. Was there a specific moment, when you realized that what you guys were creating was special? J: We were both really excited about it from the beginning. The very first pre-production demos we did turned out great and we knew they'd only get better once we brought a band in. We complement each other really well. M: Absolutely. The entire process was so easy. We had a blast working on this record. When there isn't pressure involved you are left with creative freedom to do whatever you want. That’s what we did. We didn't over think it. We let the song tell its own story. Can you cite any specific musical influences on Escondido? The Ghost of Escondido seems to evoke a special feeling and imagery for me, which makes me curious to find out where this derived from? J: My dad was a big Clint Eastwood fan and I always loved the music in hisWesterns. Ennio Morricone and others bring such a great dynamic to the visual, from sweeping epic sad stuff to crazy psychedelic. My bread and butter is 60s & 70s songwriters so there's a lot of Neil Young, Paul Simon, Tom Petty, Joni Mitchell in there as well. M: To add to what Tyler mentioned, I love Quentin Tarentino. I'm a huge Nancy Sinatra fan. Her song "Bang Bang" really started my obsession with that sound. How has the writing process panned out for you all thus far, specifically in regards to The Ghost of Escondido? J: It works best when Jess starts the song and I finish it. Sometimes I’ll write a new chorus or verse or lyrics but other times it's perfect on arrival. She keeps her stuff simple and I often make something too complex so together it balances out. Our friend Leanne Ford is a poet and we've used a lot of her imagery to start the lyric process as well. M: Writing is therapy for me. I write every morning before I start my day. Mostly melodies, when we started this project I must have sent Tyler a good 100 songs. I like how we work because he has the ability to edit my ideas and make them better. Do any of the songs on the record date pre-Escondido? If so, how far back? J: Yeah a lot of the record Jess started writing a long time ago. I’ll let her speak to that. There's also some stuff I hadn't used on my solo records... the chorus to "Cold October" was from an old demo I hadn't released yet. Did you make the conscious decision to record the album live in one day, to capture a certain sound and moment? What sparked this decision? J: We wanted to do it quick so we could capture a moment and not second guess ourselves. We spent a couple of solid months arranging the songs and doing pre-production so we could pull it off. Most of my favorite records are pretty spontaneous. M: Financially it was great as well. I don't know what we were thinking. I don't think anyone believed it could be possible. Our band couldn't even believe that we had pulled it off. I think we were really prepared and knew what we wanted. Sometimes it’s good not to think about things too much and let it speak for itself. There’s beauty in flaws. I see that you all have some shows quickly approaching. Do you find yourselves performing in a different light as Escondido? J: I LOVE playing as Escondido 'cause the lead singer weight is off my shoulders and I’m not stuck behind a piano. I get to run around with a guitar and sing duet stuff. M: Oh yes! I get to bicker with someone else on stage. Its nice to have the company and harmonies and we just have a blast up there. Tyler makes everyone laugh and i make everyone cry. Cliché one... what is the story behind the name Escondido? J: I just liked the southwestern aesthetic of it... it's not really connected to its translation or the city in southern California. I had it a few years back and was saving it for a band like this one. M: It’s pretty boring I know but we just liked the name. Even when you say it it makes you want to go to the desert. How was the Daytrotter experience for you all? Was it your first time? J: Huge respect for the folks at Daytrotter. Its founder Sean Moeller is the sweetest guy ever and a really talented writer (and he's a fellow Iowan). The recording engineers were top notch and our session felt amazing... wish we could put it out on vinyl. M: It was a first time for me. Honestly, it felt like we did our record all over again. The live setting is the best. J: Tom Petty "You Don't Know How it Feels", Rolling Stones "Brown Sugar", Shuggie Otis "Inspiration Information". When I’m in California it's always The Beach Boys. M: Dylan..."Lay Lady Lay"..........Jimi Hendrix- "Little Wing".........and if I want to rock out with my girlfriends? Metric.